When the Lesotho Cycling Association's funding ran out for the National Road Race Championships, Mike's Bikes and Tumi's Cycles stepped up. It was very important to the Association's goals of local rider development that this event happen. According to Mark West, Secretary General, "This is a chance for cyclists from all per the country and all walks of like to come and pit their talent against their fellow countrymen for the title of National Champion." This UCI-accredited event was a great success, and the winner of the 110km road race (the National Champion) works at Tumi's shop and was trained by Tumi. The National Champion, trained by Tumi himself. A field made up mostly of bikes from our customers in NorCal. Who knew these bikes would someday be raced in a National Championship?? 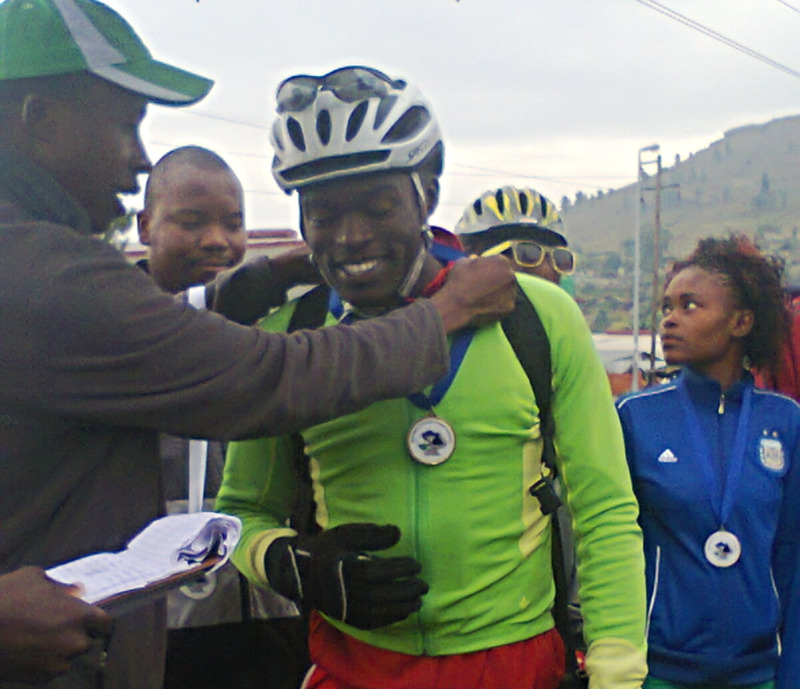 The officials of the Lesotho Cycling Association, ready with the results, the medals and the jerseys.